Often times, family members have no other option than to place a loved one in a nursing facility to ensure they remain in a safe and loving environment. Unfortunately, many nursing homes lack sufficient monitoring due to overcrowded conditions or short staffing. When a resident becomes aggressive toward others, it places the health and well-being of all in immediate jeopardy. Sadly, the Northbrook elder abuse attorneys at Rosenfeld Injury Lawyers LLC have handled many cases where the resident suffered serious injury or an untimely death due to an assault caused by another resident at the facility. 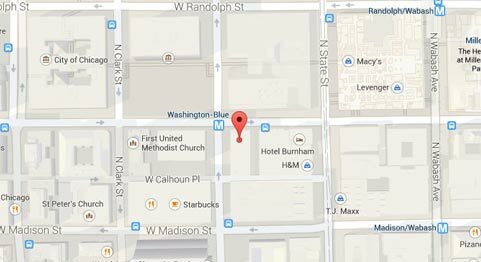 To provide accurate information on every nursing facility in the United States, both the federal government and the state of Illinois routinely update the nursing home databases to reflect all filed complaints, safety concerns, filed investigations and health violations on facilities nationwide. The updated information can be found on numerous sites including Medicare.gov. The state investigator reviewed the facility’s 05/17/2015 through 05/30/2015 Nursing Notes that revealed six episodes of a resident “exhibiting signs of verbal and physical aggression toward peers.” This includes an observation of the resident on 05/24/2015 “holding a table knife and about to stab another resident while in the dining room.” At that point, the aggressive resident “was admitted to the hospital for three days.” However, again on 05/30/2015, staff heard [the resident’s] mobility alarm sounding, went to [the resident’s] room and observed [the resident] attempting to stab [another resident] with a butter knife.” Again, the resident “was hospitalized for [treatment]”. 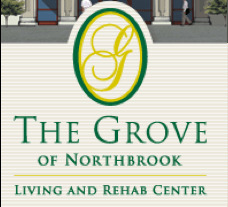 If your loved one has been abused in a resident to resident assault while residing at any Illinois nursing facility including the Grove of Northbrook, Rosenfeld Injury Lawyers LLC can take immediate legal action. Our Cook County Illinois elder abuse attorneys can handle every aspect of your financial claim for compensation against all parties responsible for your loved one’s harm. To ensure that your case for financial recompense is successfully resolved, we encourage you to contact our Northbrook Illinois nursing home abuse law firm of (888) 424-5757 today to speak with one of our attorneys in a free, no obligation consultation. We accept all nursing home abuse and neglect cases on contingency, so no upfront fee or retainer is necessary.